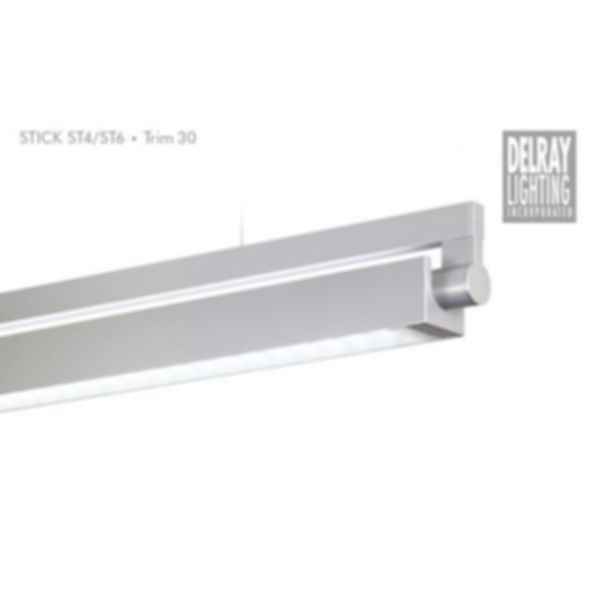 Pendant (ST4) and Rail (ST6) mount, single lamp. 120/277V, 50/60 Hz universal ballasts in a remote housing. 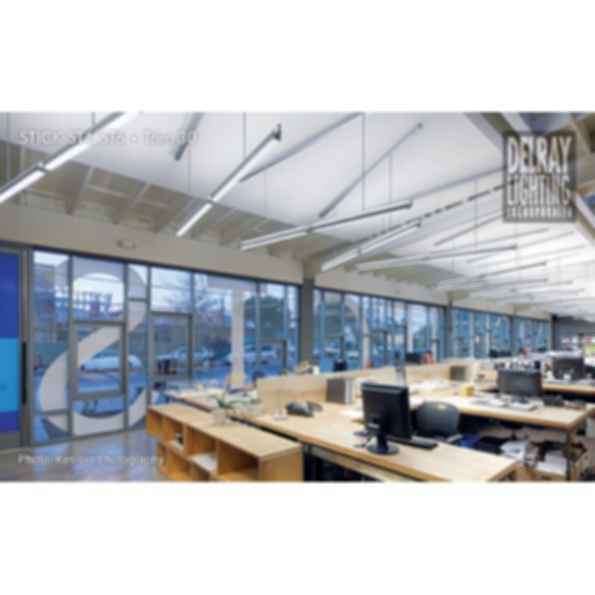 Direct/indirect square trim with prismatic lens (Trim 30). Material: zinc aluminum alloy and aluminum extrusion, matte anodized finish. Size: 2, 3, 4, 6, or 8 ft. lengths, stand-alone or continuous runs.